When it comes to flea medicine for dogs there are lots of options which can make picking the right one a challenge, but this article can help. can make picking the right one a challenge! Because fleas and ticks can make your puppy's life absolutely miserable, not to mention pose a serious risk to his health, it's important to find an effective (and safe) way to prevent/kill them. However, all chemical-based flea and tick medications carry some degree of risk in terms of side-effects and the potential for them to damage to your dogs health. NEVER use OTC (over-the-counter) flea medicine or flea/tick products because in addition to being less effective than veterinarian-prescribed options, they're also more likely to have nasty side-effects. Before using any type of flea or tick preventative on Fido, learn all about the active ingredient/s in it by studying the label/ingredient lists and checking out this page: National Pesticide Information Center - Specific Chemical (Active Ingredient) Information. Flea/tick medications should kill any fleas/ticks that have already taken up residence on your pet... and many of them also repel or kill other insects and parasites such as flies, mosquitoes and worms. How many different types of parasites you're dealing with, and for how long each year, depends a lot of where you live. The lucky ones may just want to prevent fleas, others have to tackle fleas AND ticks, mosquitoes, hookworms and more. It's always best to start using a preventative before flea/tick season gets going, that way you may never have a real problem. There's a product that's right for every situation, every dog and every location and many of them are effective against several different parasites at once, meaning you only have to remember to give your dog one dose each month. I can tell you that in a multi-dog household like mine, that's a huge plus as my calendar is now somewhat free of a dozen little monthly reminder stickers that were needed to keep track of who had been given what medicine! Frontline Plus is a medicine which contains Fipronil which kills adult fleas and ticks at all stages of their life cycle. It also contains (S)-Methoprene which kills flea eggs and larvae. Frontline is a topical liquid which you apply between your pup's shoulder blades once a month. Natural body oils helps the liquid spread across your dog's skin and within 12 hours ticks should be dead, within 48 hours all the fleas will have followed suit! One application may provide flea control for up to 3 months, but is only effective against ticks for one month. Waterproof even after bathing or swimming. Side effects of Frontline plus might be seen at the area of application and could include swelling, irritation, redness or inflammation. Other possible side effects could include vomiting, diarrhea, loss of appetite, excessive drooling/salivation, lethargy, loss of co-ordination. Advantix II contains Imidacloprid, Permethrin and Pyriproxyfen to kill both resident fleas and ticks. It also repels any other fleas, ticks, biting flies and mosquitoes (which can transmit Heartworm and West Nile Virus). The new Advantix II formula is effective against fleas and ticks at all their life stages. K9 AdvantixII is applied in a similar way as topical products, between the shoulder blades once a month. For big dogs you want to apply it in 2, 3 or 4 places along the back to make sure that it reaches maximum effectiveness. The medication spreads across the body with the natural oils in your dogs skin/coat. Kills within 12 - 18 hours of application. Waterproof - even after your dog takes a swim or a bath! Potential side effects of Advantix II in dogs include localized skin irritation, inflammation, swelling, itching or redness. Vomiting/nausea and/or diarrhea are also possible. More serious adverse reactions to Advantix II are fairly rare but may include anxiety or agitation, lethargy, excessive panting or OCD behaviors such as chronic pacing, running in circles etc. Advantage II contains both Imidacloprid (which kills adult fleas) and the insect growth regulator Pyriproxyfen. Pyriproxyfen kills fleas at any stage of the life cycle and prevent eggs and larvae from maturing into adult parasites. This product is also effective against chewing lice but Advantage does NOT kill ticks. As with many other flea medicine for dogs it's applied to the skin between the shoulder blades and needs to be reapplied monthly. Kills adult fleas within 12 hours. Waterproof and can hold up against bathing or swimming. The possible side effects of Advantage II in dogs can include localized irritation, redness, swelling or inflammation at the site of application. Other reactions which are more serious could include vomiting and/or diarrhea, excessive salivation/drooling, tremors or shaking, eye irritation, pupil dilation, seizures or breathing problems. Trifexis is a newer flea and tick medication which contains two active ingredients, Spinosad and Milbemycin Oxime. Effective against adult fleas, and also treats adult heartworms, hookworms, roundworms and whipworms. Trifexis is a flea medicine for dogs which is taken internally rather than applied onto the skin, and it's a chewable, beef-flavored tablet, given once a month. It's easier to give your dog a tasty tablet than get him to stand still while you squeeze liquid onto his skin... plus you and your family can hug and pet him without worrying about getting the product on your own skin. Because Trifexis contains heartworm medication you need to be sure your dog has a negative heartworm test before using it, unless he's been on another regular heartworm preventative such as Heartgard. Puppies under 6 months old don't usually need this but always check with your vet if you have questions. Never give your pet two types of medicine that have the same purpose, so don't use Heartgard AND Trifexis, or an intestinal de-wormer and Trifexis. 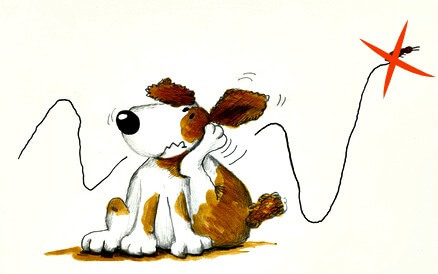 Always, talk to your vet before giving ANY heartworm medicine to collies or other herding breeds because they are sensitive to the chemicals and could have a very bad reaction. At the moment it's advised that you are cautious about giving Trifexis to breeding males or females - again talk to your vet first. The possible side effects of giving Trifexis to your dog might include vomiting and/or diarrhea, loss of appetite or increase in appetite, generalized skin irritation or inflammation. Other, potentially more serious reactions can include excessive salivation or drooling, lethargy or hyperactivity, cough, increased thirst, trembling/shaking, seizures. Personally I would advise caution around this particular product. There have been numerous Trifexis-related dog deaths reported but there isn't any clear-cut answers released as to why/how these are occurring. Given this, I don't feel comfortable giving Trifexis to our dogs. However that is a personal decision. I have included it on this page because it is a popular, and apparently effective, product and I want to present all available flea/tick prevention products available. The decision to use it or not is one which should be made by you and your veterinarian. If you feel your dog may have been poisoned/damaged by Trifexis, I came across this Facebook post which details a natural detox protocol which helped reverse the damage to the users dog. Obviously there are no guarantees (and there are no mainstream cures for trifexis poisoning) but I feel that it's worth sharing the link because in a serious situation like this I would be willing to try anything which was safe and had the potential to help... Facebook: Trifexis Detox!! Capstar is a flea medicine for dogs that will start to kill adult fleas in less than an hour. Contains Nitenpyram to kill fleas by targeting their nervous system. However, it's not effective against ticks and won't repel fleas and ticks so isn't a preventative treatment. It is NOT a monthly flea medicine for dogs. One tablet (not chewable) is effective for 24 hours and will kill all adult fleas on your pet. It can be given daily until all fleas have reached the adult stage and been killed, but you will also need to treat your home and yard to prevent reinfestation. The possible side effects of Capstar in dogs include vomiting and/or diarrhea, loss of appetite, itching, loss of co-ordination, excessive panting, hyperactivity or lethargy, hives, unusual vocalization, seizures. Suitable for dogs 4 weeks and older AND who weigh more than 2lbs. * Can also be used to treat cats, kittens who meet the same age and weight guidelines. Parastar kills adult fleas and ticks. It's also effective against chewing lice, and some mites such as those that cause Sarcoptic Mange in dogs. This flea medicine for dogs contains both Fipronil and Cyphenothrin which start killing fleas/ticks within about an hour. This medication is a topical liquid and is applied in the same way as Frontline, Advantix and other similar products. Squeeze the liquid directly onto your dog's skin between his shoulder blades. Parastar has less liquid volume than many other topicals which makes it quicker and easier to apply. Use once a month to maintain protection. Waterproof and will still be effective after a bath or a swim. Side effects of applying Parastar to your dog are fairly rare and generally mild. They're most likely to include localized irritation, swelling, redness or inflammation. Occasionally excessive salivation or respiratory problems can occur. 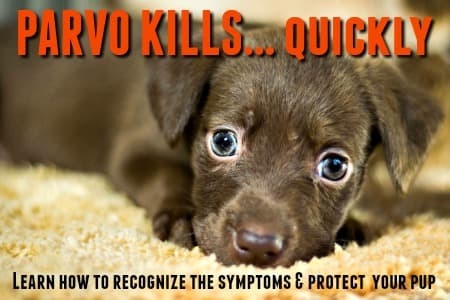 Bravecto kills both fleas and four species of tick (Black-legged, aka Deer tick, American dog tick, brown dog tick and Lone star tick) for 12 weeks. Bravecto is available in the form of a tasty chew... and one chew provides 12 weeks of protection. The active ingredient in Bravecto is Fluraner which attacks the nervous system of fleas who ingest it from your dog's bloodstream. As a result the fleas/ticks die. Bravecto Chews are available in five different weight divisions (4 - 10lbs, 10 - 22lbs, 22 - 44lbs, 44 - 88lbs and 88 - 123lbs) and you can buy one chew, two chews or four chews. The four chew package will last a whole year as you only need to give your dog one chew every 3 months. 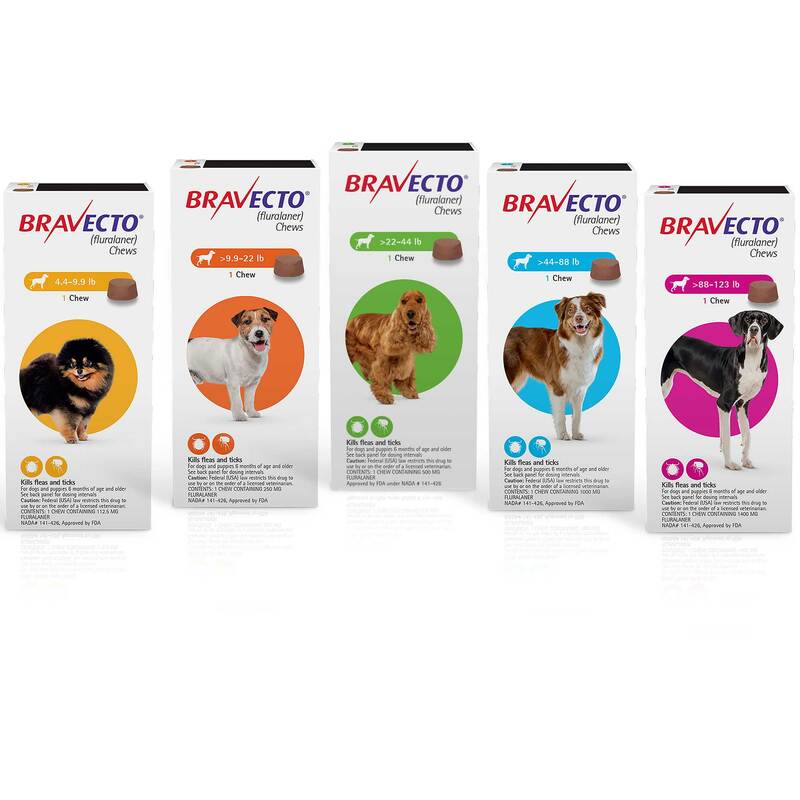 If you'd rather apply flea medicine topically rather than have your dog ingest it, Bravecto Topical is available as an alternative. It provides the same 12 weeks of protection against fleas and four species of tick. Bravecto is NOT suitable for puppies under 6 months of age or who weigh less than 4.4lbs, even if they are older than 6 months. It also shouldn't be given to dogs who have any type of seizure history. Minor side effects of Bravecto for dogs can include nausea/vomiting and/or diarrhea, loss of appetite and lethargy. More serious side effects of Bravecto can include seizures and kidney or liver damage. 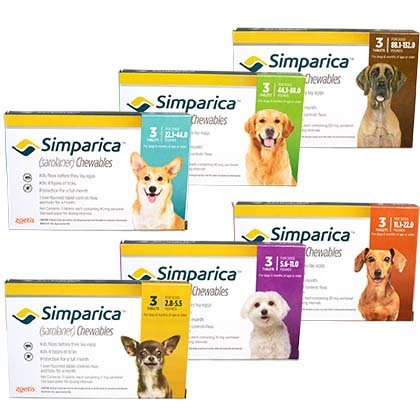 Simparica is another oral flea medicine for dogs, and it also kills five species of tick (Deer Tick/Black-Legged tick, American Dog tick, Gulf Coast tick, Brown Dog tick). This tasty liver-flavored chew will provide one month of protection against fleas and ticks for your dog. The active ingredient in Simparica is Sarolaner which kills parasites by causing uncontrolled neuromuscular activity. Simparica Chews are available in 6 different weight categories (0 - 3lbs, 6 - 11lbs, 11- 22lbs, 22- 44lbs, 44 - 88lbs, 88 - 132lbs) and as a 3-pack, 6-pack or 12-pack. Simparica is NOT safe for puppies less than 6 months old, or who weight less than 2.8lbs (regardless of whether or not they're older than 6 months). As with all flea/tick medicines, there is the potential for side effects. Side effects of Simparica in dogs might include vomiting, nausea and/or diarrhea. More serious reactions can include shaking/tremors, loss of co-ordination or bodily control, slow (or even non-existant) blinking and seizures. The products I've listed above are the most popular, most effective and (in my personal opinion) the best choices when it comes to flea and tick medicine for both prevention and treatment. For most dogs, a monthly treatment (or if you're using Capstar a daily tablet) is enough to take care of any parasitic problems. However, if you live out in the countryside or in very hot, or humid, areas or close to a lake, swamp or creek, you may have more of these pesky little critters to deal with. I live in a rural, central USA location and for the last couple of years we have had a huge tick problem. Frontline wasn't effective enough, so I started using K9 Advantix II and that worked on all four dogs for fleas, but one of them is a 'tick magnet' (as opposed to a chick magnet!) and needed something extra! So, my vet suggested we add a Preventic Tick Collar and a Pyrethrin Dip and all was well. If you have a big tick problem, you might want to try the same thing. In fact, a combination of products can work just fine as long as you check with your veterinarian first. A Preventic collar can be used safely with medications that just target fleas (such as Capstar or Advantage) and also as an added 'boost' to any dog flea and/or tick medicine including Frontline, Advantix and Trifexis). If ticks are your only problem, a Preventic collar should do the trick. It gives up to 8 months worth of protection and users report that it's as effective as the most popular topical products. Always remember to check the active ingredient in each product that you want to use and make sure you're not doubling-up on anything! These medicines are very effective and very safe when used correctly. However, as with any kind of chemical or drug, it's important to be careful and follow all the directions and guidelines. 4) Follow directions on the packet exactly. 6) Always be sure to wash your hands after applying the product, and avoid it coming into contact with your eyes or skin. 7) Don't allow anyone to pet/hug your dog while a topical product is wet, and keep cats and dogs separated during this time too. Each flea medicine contains slightly different ingredients, or a different combination of ingredients (depending on how many types of parasites it targets, and how it kills them), but the majority of these medications will affect your dog's central nervous system if he gets too much of them. 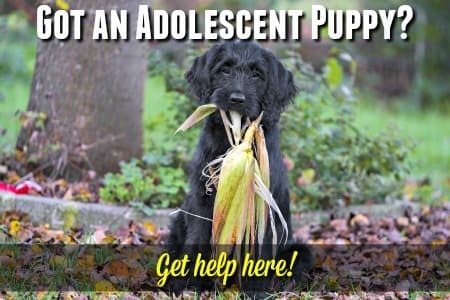 If you notice any of these symptoms get your puppy or dog to your vet IMMEDIATELY. Fluids, temperature regulation and detoxifying medications will most likely to be needed if your pet is to recover. Treat Your Home & Yard Too! If your puppy or dog has fleas or ticks, just treating his body isn't going to be enough (unless he literally has just picked them up and there are only one or two!). These parasites are hardy and can live for a long time in your dogs bed, or your carpets and soft furnishings, or in grass/earth. To prevent re-infestation you'll need to make sure that all the 'escapees' that are hiding out are also exterminated. Luckily there are lots of products that can take care of this for you. The most effective indoor flea and tick exterminator are pressurized cans of parasite-killing chemicals called 'knock-outs' or 'bombs' such as Virbac Knockout ES Area Treatment . For your yard, try Virbac Home Flea Relief Yard Spray Concentrate 16 Oz . You can buy these and do the job yourself, or have a pest-control company come and do it for you. For minor infestations I'd say go ahead and follow the DIY method, but if you have a LOT of fleas the professionals might be a better bet. If you do decide to treat your own home/yard read the instructions and safety precautions on the cans/containers very carefully and be sure to protect your eyes and skin, and don't inhale the product yourself (use a face mask). To treat dog bedding, curtains or other fabrics that can be laundered, wash them well in hot, soapy water and dry in the tumble-dryer if at all possible. 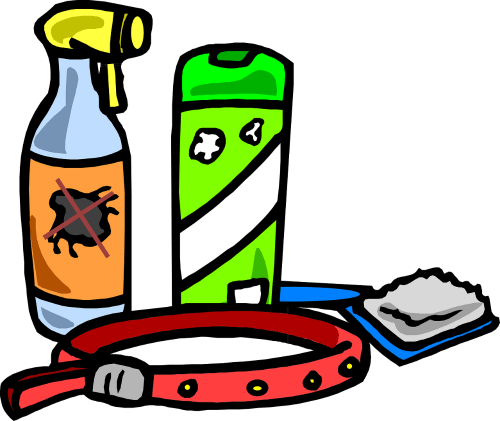 All the above flea medicine for dogs contain chemicals of one sort or another. They are recommended and approved by veterinarians and when used properly they are generally safe and effective. If your puppy or dog has fleas or ticks, or you live in an area where there is a flea/tick 'problem', it's really important for your pet to be properly protected from these parasites. But, like ourselves, our pets are ingesting and absorbing more and more chemicals all the time, and if you prefer to use natural remedies whenever possible or your dog doesn't have an infestation and you don't live in a high-risk area (like mine! ), then here are some options you may want to check out. My Natural Flea Control For Dogs page takes a close look at natural products that you can use to treat fleas, ticks and other flying/biting insects. You might also want to visit my Home Remedies For Dog Fleas page, to find out how you can take advantage of all sorts of everyday household products to ward off these annoying parasites - both on your dog and in your home.